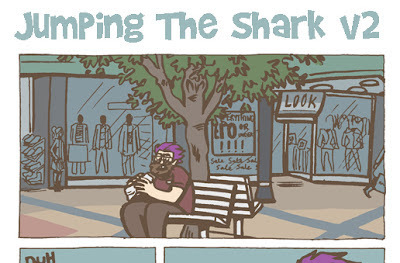 This year I decided to re-write and re-draw my webcomic story Jumping The Shark. I'm pleased with the improvements so far. I have a buffer and the comic will continue to update every Friday morning (GMT). I created a couple of homage style characters for a university project. This year I have re-named the series 'Stale Symphonies' and submitted a couple of new stories to zines and comics anthologies. This 2 page story called Clothes Shopping is available now in issue 2 of What's The Time Mrs Woolf, an alternative woman's magazine created by my friends Sarah Fogg and Lily-Rose Beardshaw. 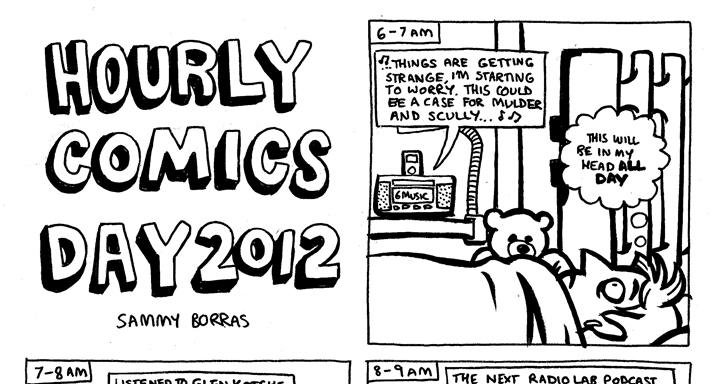 The 1st February is Hourly Comics Day, participants create 1 comic every hour of the day about what is happening. You can read my full comic online here. I last took part in 2009 and I am glad to see how much I have improved at making comics since then.